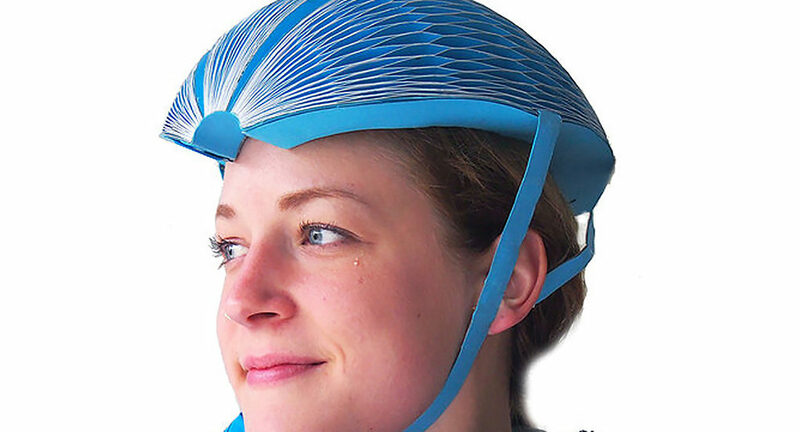 The collapsible EcoHelmet makes safety a convenience. 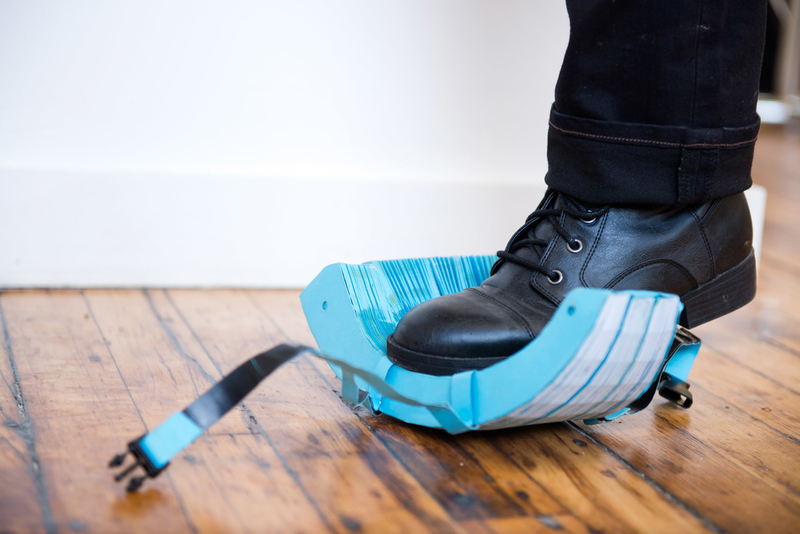 Inventor Isis Shiffer, Pratt Design Institute graduate and designer of the EcoHelmet, has been named this year’s winner of the prestigious International James Dyson Award. 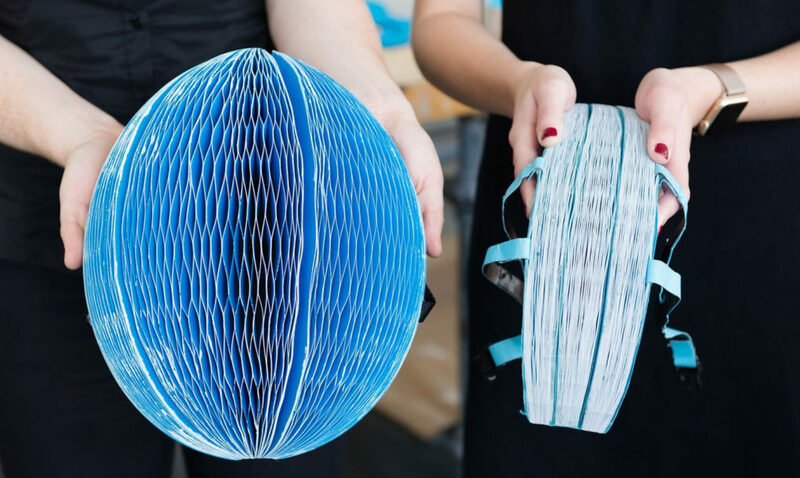 Her winning invention is a foldable paper helmet made from layers of recycled paper. Woven into a honeycomb-shaped structure that distributes any impact evenly around the head, the product is completely collapsible and has secured its creator £30,000 to develop it commercially. Recyclable and collapsible, Shiffer made the unique headgear from layers of salvaged paper woven into a honeycomb-like structure. The helmet retains its dome-style protective shape while worn, but when removed, its radial structure easily flattens for storage in a handbag or backpack. Covered in a biodegradable coating to make it waterproof, the helmet can withstand being rained on for up to three hours. Despite its necessity, protective gear and other similar safety measures can often feel like an annoyance. Shiffer, cognizant of his general attitude, designed and developed the EcoHelmet so that it would be easy for a commuter to carry a bike helmet everywhere they go – particularly when travelling in cities or making use of rented bikes. 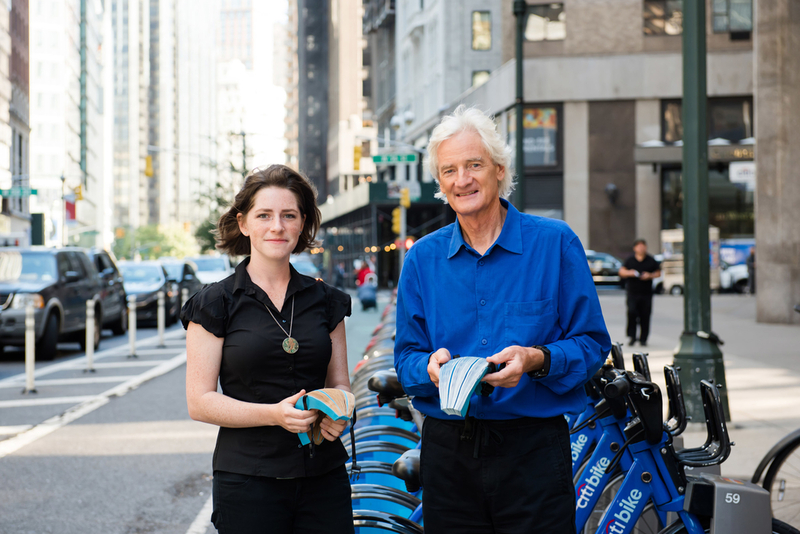 A 28-year old New Yorker, Shiffer was partly inspired by the increasing ubiquity of bike shares and rental services in her city and others around the globe. She began work on the design after realising the difficulty and expense involved in the purchase or rental of a helmet while travelling overseas, where tough bike rentals are common but helmets are not. Shiffer ultimately envisions her product being sold for a low cost through vending machines set up to service bike-rental stations.